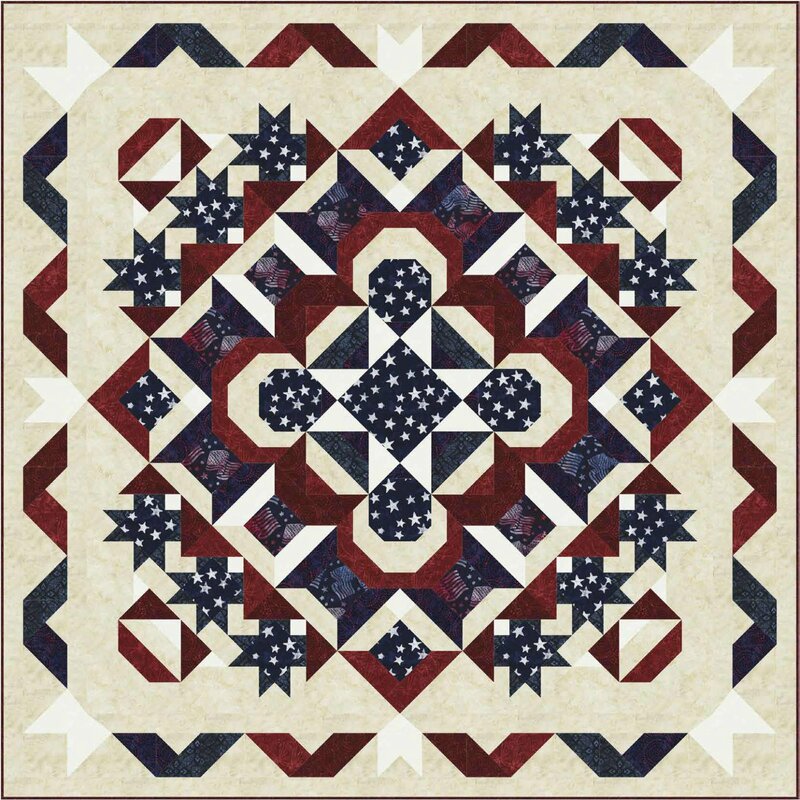 This patriotic quilt is made with Tonga Patriot batiks will be a Block of the Month at Cinnamon's from March 2019 - February 2020. Reserve your spot today! This $10 non-refundable registration fee will secure your spot in this beautiful Block of the Month. The BOM includes all fabrics as shown, with binding and the pattern. Backing sold separately. Quilt finishes approximately 72" x 72". This is a 12 month commitment. Please understand there are no exceptions, no refunds. Your card will be charged monthly, on the 15th of each month for 12 months starting March 2019 at $13.99/month + tax. Want to make this quilt right away once the fabric arrives? You can purchase this quilt kit for $149.99 + tax. Your card will be charged at time of reservation. Quilt kits will be available in March 2019. Call the shop to reserve yours! This is not facilitated; pick up only.